Available Now! Award winning author: m. jewel h. of Bejeweled Poetry performs her spoken word poetry on a new single “Vision” now available on iTunes and Amazon. The poet performs her intricate verses over rhythmic beats. The sound is unique and the positive message is undeniable. Check it out today! Also, being streamed on Jango radio, and heard on Spotify! Start the new year right add “Vision” by m. jewel h. to your artist list and listen to the message and love.Go to iTunes for “VISION” by m. jewel h.
Award winning author m. jewel h. adds her poetic spoken word to new rhythmic selections. Check her out on iTunes! Author M. Jewel H. in New York at the Poets House Library. She was humbled and honored to have her latest release “Bejeweled Poetry V: Alive” in the 2016 New Title Showcase. The Poets House Showcase is an exhibition of poetry opening July 14th-Aug 20th 2016. Thousands of items are on display in this caring and diverse space for poetry from around the world and publishers large and small. Author M. Jewel H. also participated in the members only open mic and a reading from her book. 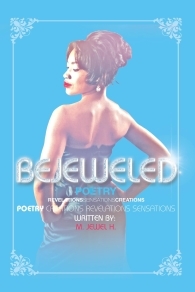 Live with enchanting and energizing poetic vibes in “Bejeweled Poetry V Alive” by award-winning author M. Jewel H. The desired 5th entry to a rhythmic series that began as a recommended “must read” with the first publication. Adventure along the infinite possibilities of verse to embrace life and enduring love with Bejeweled Poetry V Alive! 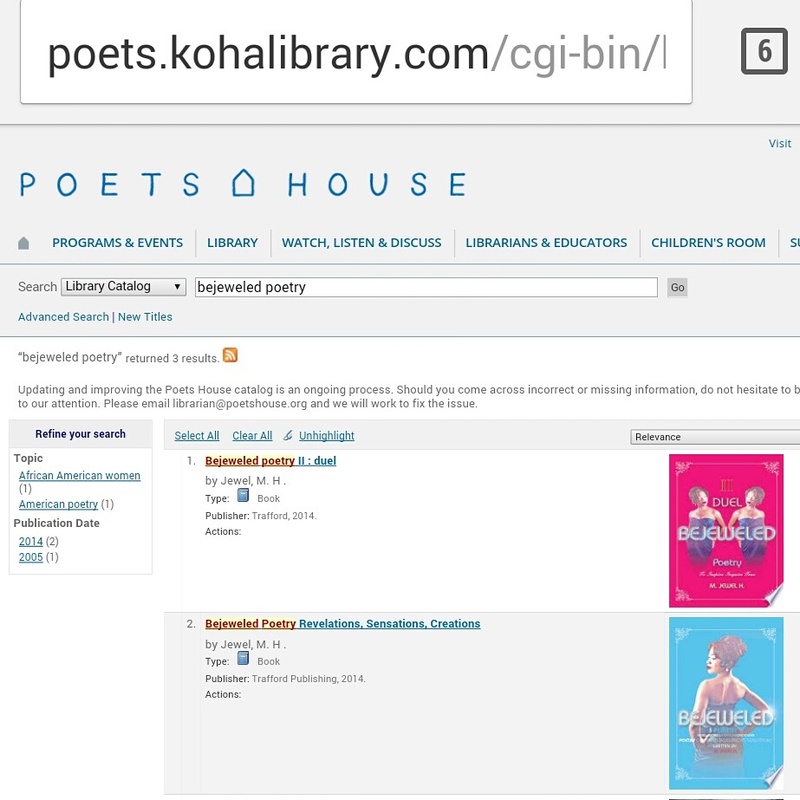 Bejeweled Poetry Catalogued in Poets House Library, New York!